Toothpaste is a popular hygiene product that we all use daily to brush our teeth. It aids in maintaining oral health by removing bacteria and food debris from our teeth. It also assists in suppressing halitosis (bad breath) and helps prevent tooth decay and gum disease. Well, the importance of toothpaste in oral health is a known fact. 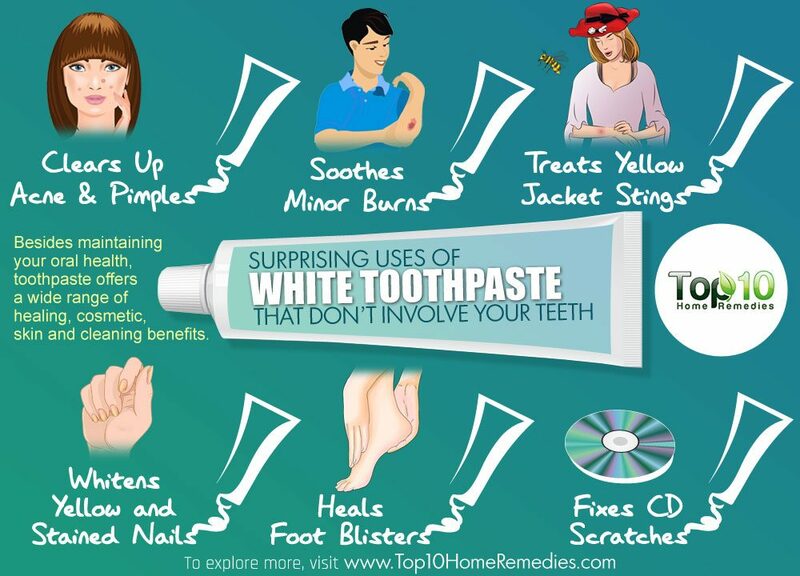 But besides maintaining your oral health, toothpaste offers a wide range of healing, cosmetic, skin and cleaning benefits. However, these benefits are from basic white toothpaste only, not the gel or teeth-whitening varieties. Here are 10 surprising uses of white toothpaste that don’t involve your teeth. 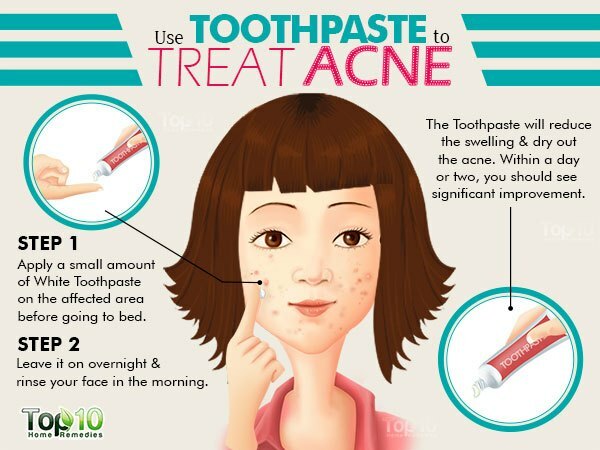 If you are prone to acne and pimples, keep white toothpaste on hand. The toothpaste dehydrates the acne or pimples and absorbs the excess sebum, which can quicken the healing process. 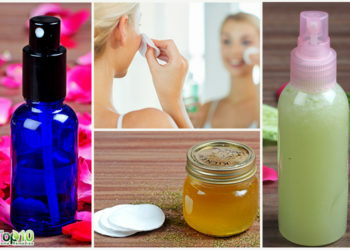 Excessive oil production is one of the main causes behind skin breakouts. Apply a small amount of white toothpaste on the affected area before going to bed. Repeat daily for a few days until your skin is free of acne. Note: If you have sensitive skin, then don’t leave the toothpaste on your skin overnight. Just leave it on for 15 to 20 minutes, then rinse it off. 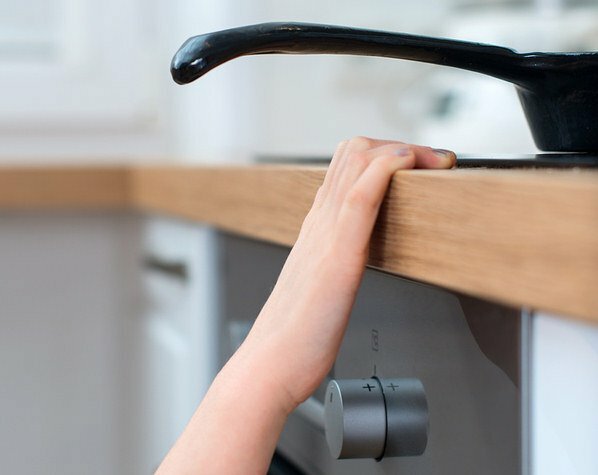 For small, minor burns that you may occasionally get while boiling hot water, cooking something or accidentally touching a hot pan, white toothpaste is just the right treatment. It provides immediate pain relief when applied on minor burns that are not open wounds. It also calms the burn and prevents clogging of the burned area. First of all, put the burned area under cool running water. Remove it from the water and allow it to dry. Then, dab a small amount of white toothpaste onto the burn. Note: White toothpaste is just for minor burns and should not be used on wounds. Mild insect bites and stings can cause a lot of discomfort. They can instantly cause redness, swelling, pain, itching and inflammation in the affected area. For quick first aid at home, white toothpaste is just the right ingredient. This common household item helps neutralize the acidic venom, which in turn provides relief from pain and swelling. You can use your regular white toothpaste to remove yellow stains from your nails. White toothpaste contains hydrogen peroxide that helps remove the mild stains. Apply a small amount of white toothpaste on your nails. Using a soft nail brush, scrub your nails gently. Wipe the toothpaste off with wet cotton balls. 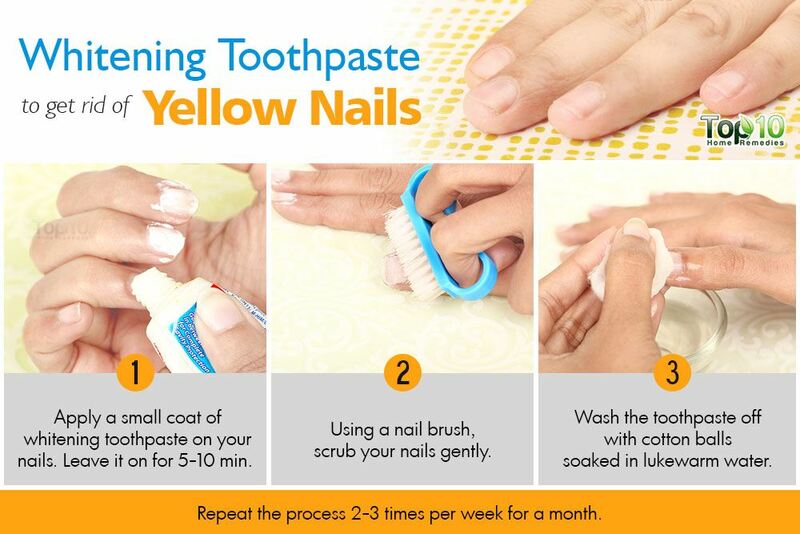 Repeat the process 2 or 3 times a week to restore your white nails. A foot blister, a small, fluid-filled bump that forms in the upper skin layer, can make walking very difficult. As white toothpaste contains ingredients like baking soda, hydrogen peroxide, alcohol and menthol, it aids in drying out foot blisters quickly. Apply a little bit of white toothpaste on the blister. Leave it on overnight, or at least for 2 hours. Wash it off with a damp washcloth. Apply a light coat of petroleum jelly. Follow this remedy once daily until the blister heals completely. You can use this remedy to treat fever blisters, also. Whether you want to clean a foggy mirror in your bathroom or foggy headlights on your car, your regular white toothpaste will make your task easy and simple. Toothpaste works as a good abrasive plastic polish, which helps remove the fogginess and add a new shine to your mirror and headlights. Clean the foggy object with a dusting cloth. Spray water on the object. Then, dab some white toothpaste on it. Gently rub the toothpaste all over the object with a soft toothbrush. Finally, wipe off the toothpaste residue with a wet cloth. Silver items look classy, but with time, they can look dull and turn into a dusky gray color. To keep your silver items shiny like new for years, use your white toothpaste from time to time to clean them. Put equal amounts of white toothpaste and table salt in a bowl, and add a little lemon juice to it. Apply the paste on your silver item using a toothbrush. 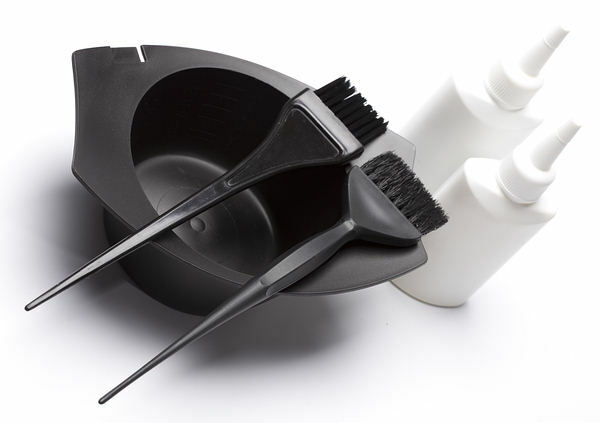 Use the toothbrush to gently scrub the paste over the silver item in light, circular motions until it shines. Rinse off the paste with water and dry the silver item using paper towel. If your iron plate is not clean, it can leave horrible black marks on your clothes when you iron them. 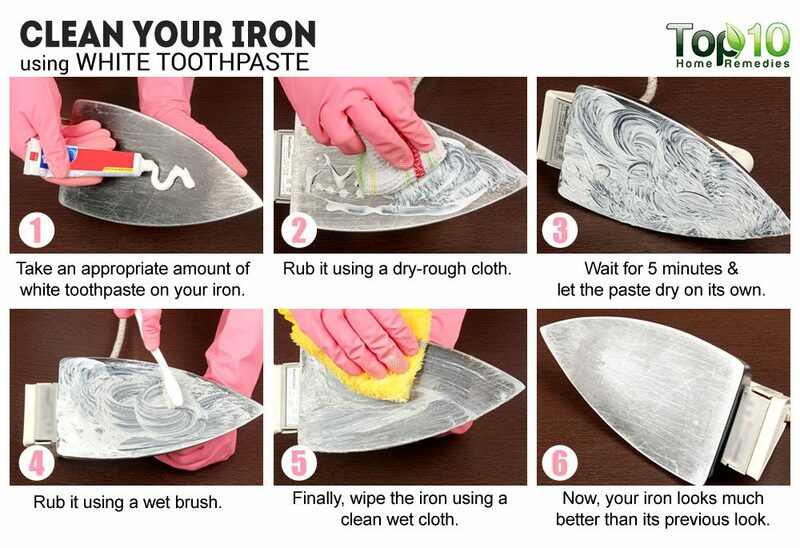 To keep your iron plate clean, the mild abrasive nature of white toothpaste can come to your rescue. White toothpaste can scrub the gunk off the bottom plate of your clothes iron. Rub some white toothpaste onto the plate. 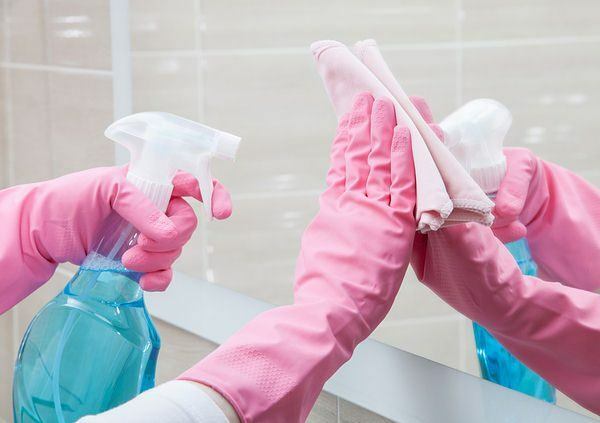 Scrub it using a a dry rough cloth. Moisten a toothbrush and scrub it on the plate. Wipe it off with a slightly damp cloth. Note: Always make sure the iron is completely cooled down and unplugged before cleaning it. Scratches on your favorite CD can definitely spoil your mood. To fix these scratches, you can use white toothpaste. The mild abrasive nature of white toothpaste aids in buffing the plastic layer of the disc and smoothing out the scratch. 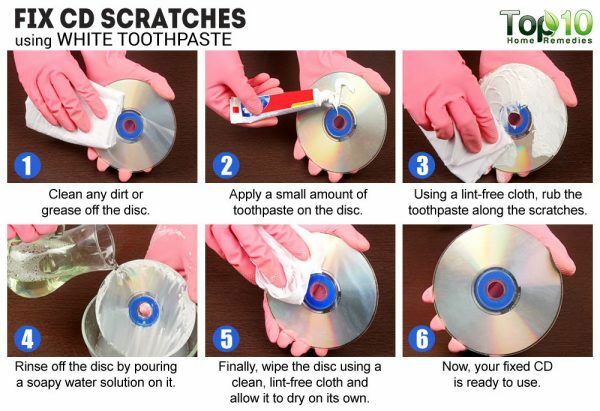 Clean any dirt or grease off the disc. Apply a small amount of toothpaste on the disc. Using a lint-free cloth, rub the toothpaste along the scratches. Gently wipe the disc with a cloth dipped in lukewarm water. Rinse off the disc by pouring a soapy water solution on it. Finally, wipe the disc using a clean, lint-free cloth and allow it to air-dry. No matter how carefully you apply dye on your hair, chances are high that the dye will stain the skin around your forehead, neckline or your hands. Just like white toothpaste removes stains from your teeth, it can remove dye stains from your skin too. Apply a good amount of white toothpaste on the stained skin. Scrub the stained area with a cotton pad. Finally, rinse off the skin well with water. No wonder they say not to swallow it. Thats a little to much than what I want to brush my teeth with! Great fact. Thanks for the information. Do you have a CD / booķ on Home Remedies? How can I have the same? Comment:Very Helpful Articles here which I have shared with friends and family. Comment: Very helpful articles here which I’ve shared with friends and family. Thank you.